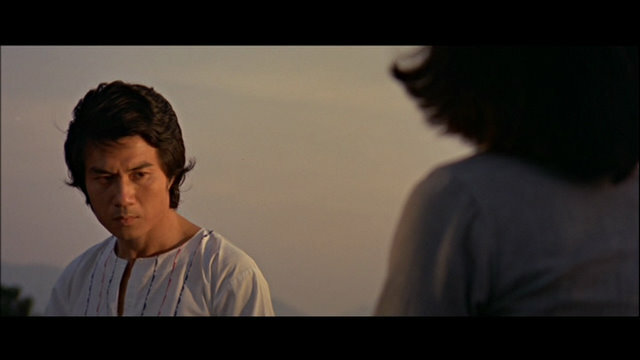 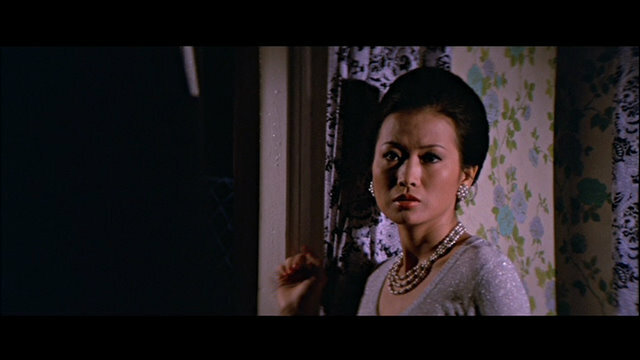 1976's The Forbidden Past opens with Lo Wei (Ling Yun) -- using the name of a famous director? -- entering Club Dai-Ichi in Hong Kong and meeting Julie (Ching Li), a bar-girl presumably. Sailor Lo Wei leaves only to run into Julie on the street outside. 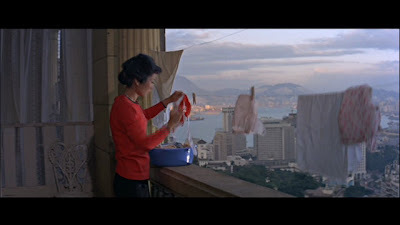 The lonely girl quickly tells the man that her son misses his father and that the guy hasn't been home at Christmas-time for five years so far. The two lonely souls connect and soon they are riding a taxi back to Julie's place under the Christmas lights of Hong Kong. 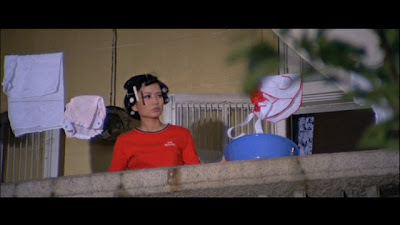 Flashback to a young Julie and her mom (Ouyang Sha-Fei) getting kicked out of the rooming house run by Cheng Miu and Wang Lai for owing two months' rent. 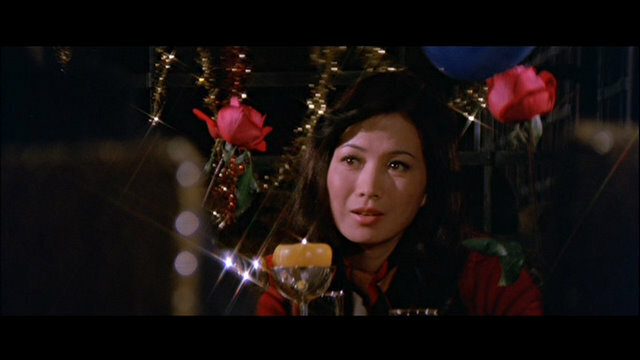 It seems that the young Julie was in love with the young son of Wang Lai. 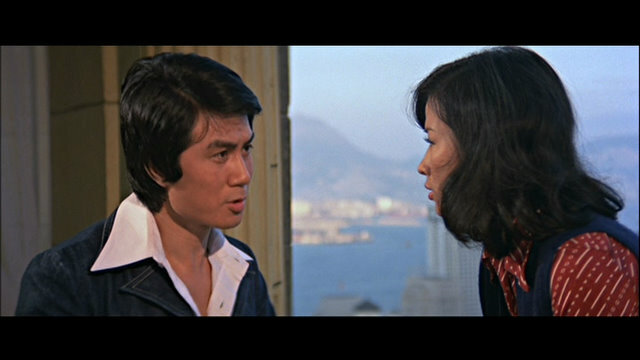 The flashbacks continue and those two young lovers are now played by Ching Li and Ling Yun (playing the same guy as from the opening scene? We don't know yet). 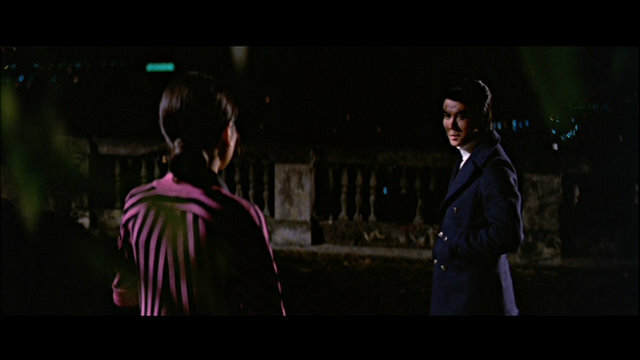 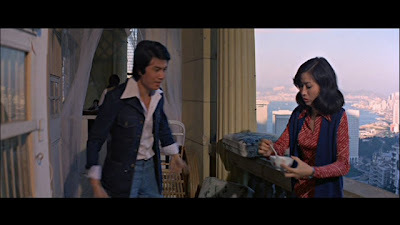 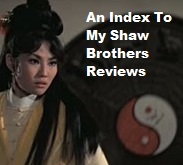 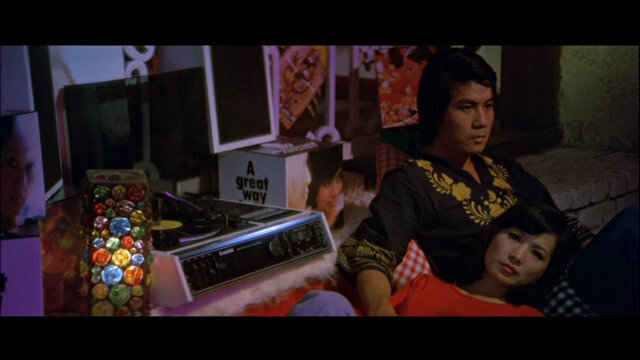 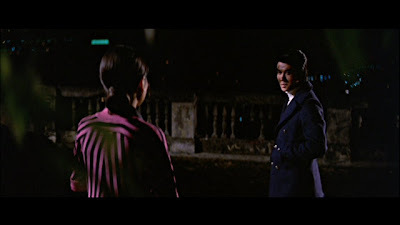 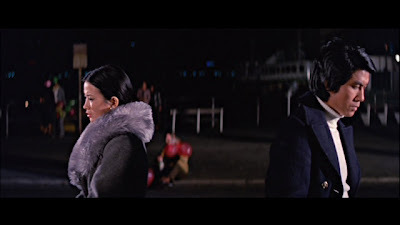 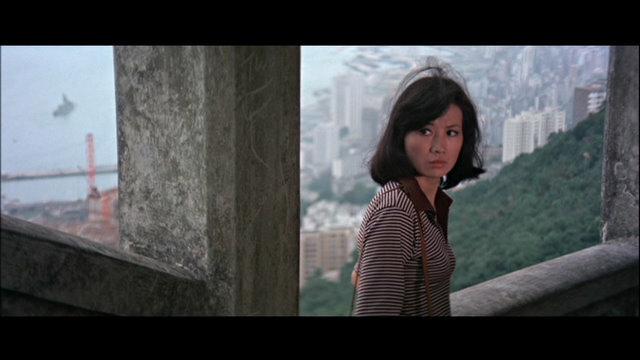 The best review I can provide for The Forbidden Past is a visual one; the film is a retro blast and its success depends largely on how much a viewer values a portrait of young love in 1976 Hong Kong. 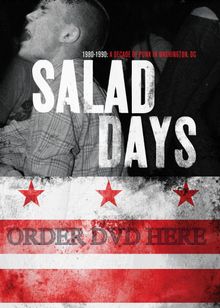 Personally, I love this sort of thing so I was entertained for the film's meager 76-minute running time despite the fact that the story is hokey and the emotional mood of the thing is wildly sentimental. 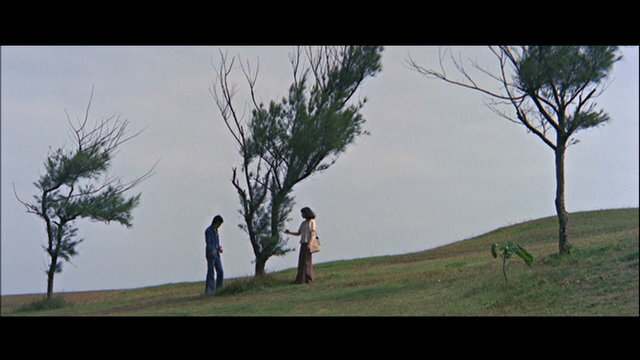 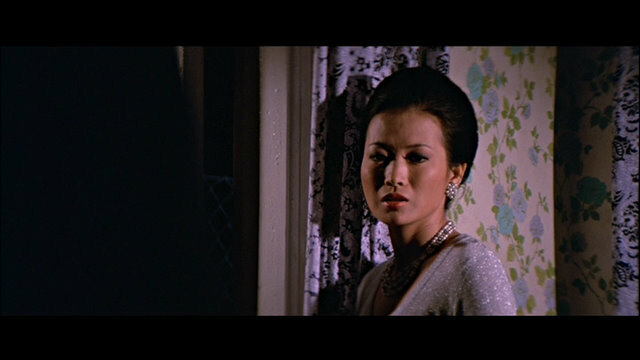 Visually, director Chor Yuen puts a lot of effort into framing almost every shot and the film always looks great. 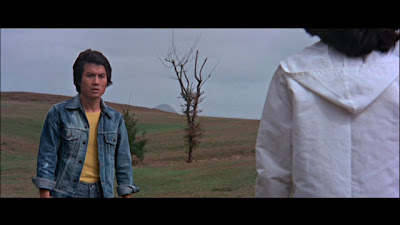 This is a mood piece first and any recitation of plot points is only going to sound boring as -- clearly -- the plot is very basic and not of much interest compared to how it's executed. 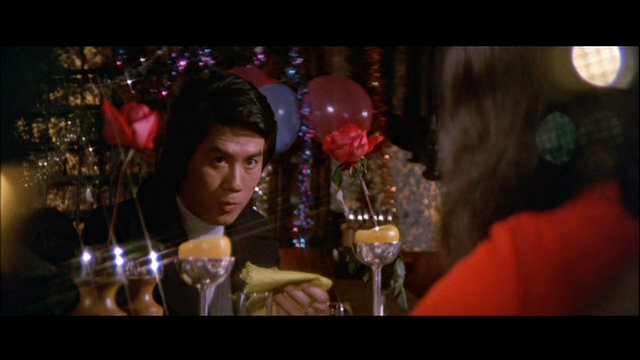 And a viewer does need to toss out cynicism to buy the fact that Lo Wei can just roll into town looking exactly like Paul Zhou -- since it's Ling Yun in each role -- and Ching Li's character never seems to get too excited that it's an exact double of the man she has been pining for in all of the earlier flashbacks in the film. Even her character's son recognizes the guy as an exact double of his missing father! 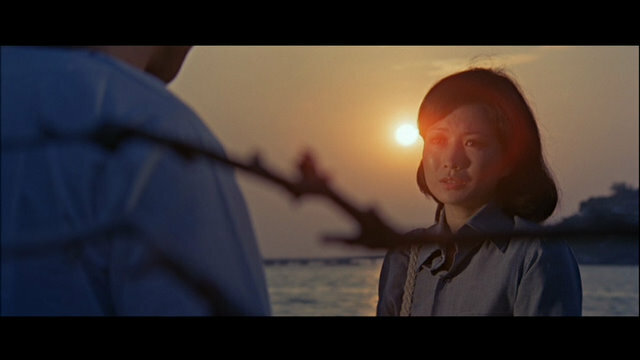 The Forbidden Past is like one long music video and I liked the film precisely for that reason. 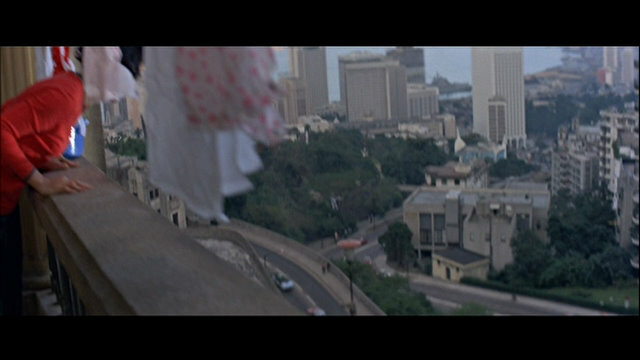 Check out the stills below and you'll see what I mean. 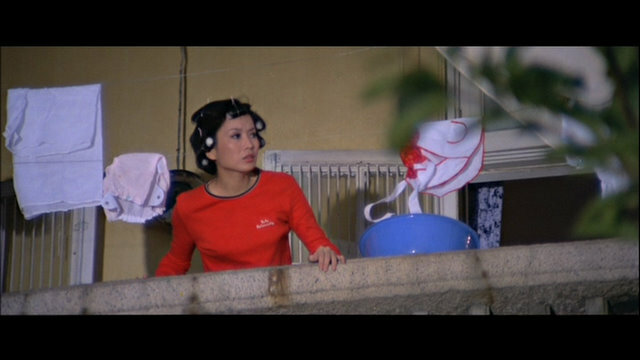 I especially liked the montage when the camera starts inside and pans right as Ching Li rushes to the balcony to hang her laundry. It's the same balcony we have seen in earlier shots with the couple. 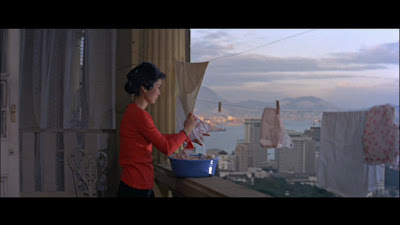 Now, the woman is alone and doing daily chores and raising her baby. 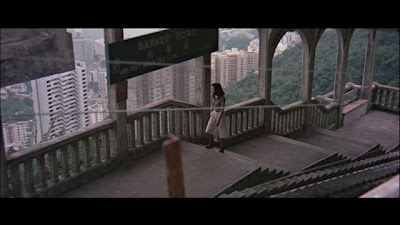 The camera tracks right to the landscape and then there's a cut and we're looking at Ching Li on the balcony as she awaits the mailman and a possible letter from Ling Yun. 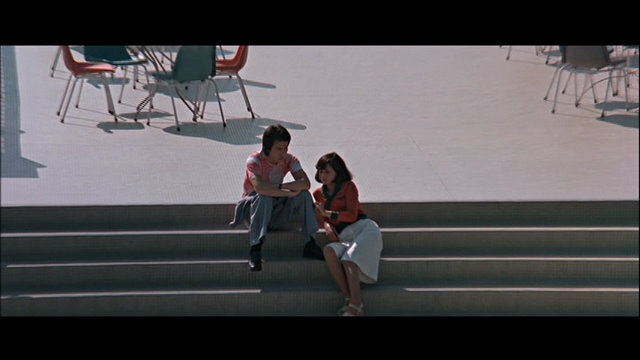 It's a beautiful sequence and there are dozens of similar, small ones in this film. You can order The Forbidden Past on DVD here.